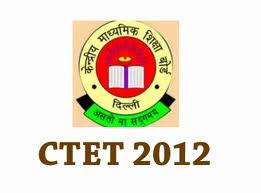 CTET Nov 2012 notification has been released by Central Board of Secondary Education Delhi. The board will conduct the examination on November 18, 2012 in two shifts. Lakhs of students appear for Central Teacher Eligibility Test (CTET) to become eligible for appointment as a teacher for classes I to VIII. As per National Council of Teacher Education guidelines the candidates have to pass CTET or teachers eligibility test for the state in which he/she aspires to become teachers. The board has also given option to apply through the CBSE/CTET websites www.ctet.nic or www.cbse.nic.in from 01.08.2012 to 31.08.2012. The last date of receipt of Confirmation Page in CBSE, CTET Unit is 07 September 2012.